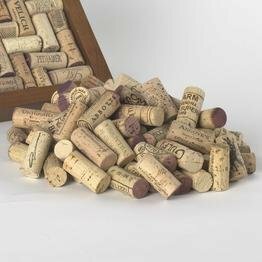 Used and Repurposed Wine Corks and are not intended for bottling of wines, but can be used for craft. Some may have red and white wine stains which adds to their character. These are perfect for so many different craft projects and can be used to create coasters, trivets, placecard holders, bulletin boards and so much more.